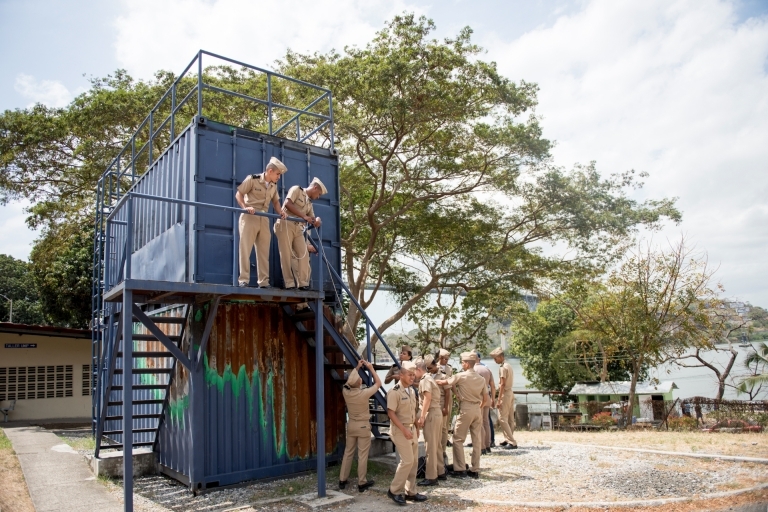 Photo posted April 16, 2017 in CommMedia in Panama by Commedia. 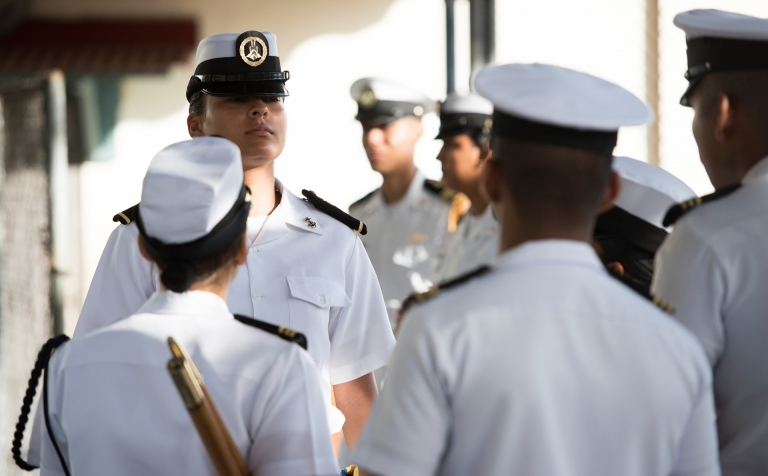 Lyzaneth Avila, 18, a first-year student at the International Maritime University of Panama (UMIP), dreams of following in her father’s footsteps as a captain of a freighter ship in the Panama Canal region. 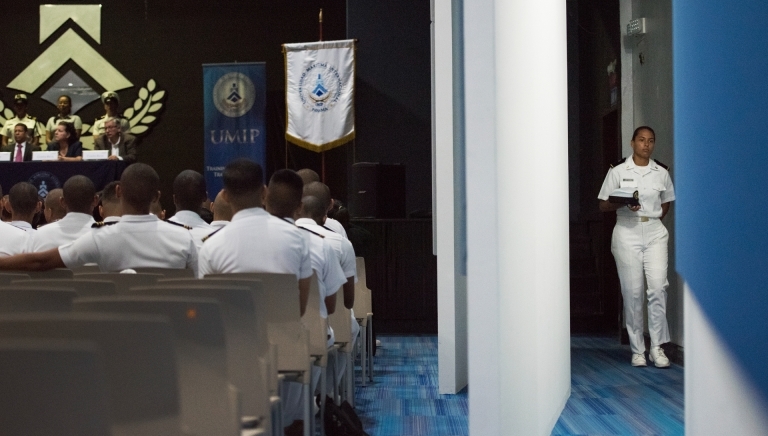 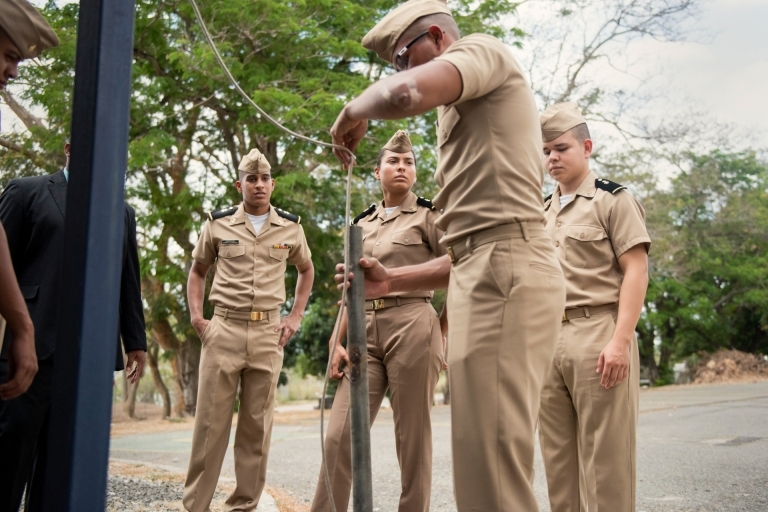 At UMIP, which is run similar to a naval academy, the majority of cadets UMIP are men. 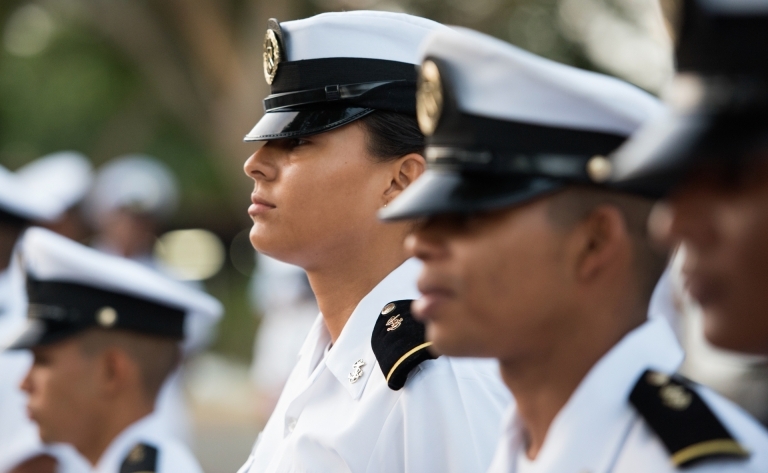 Women make up less than 30% of the cadets currently enrolled. 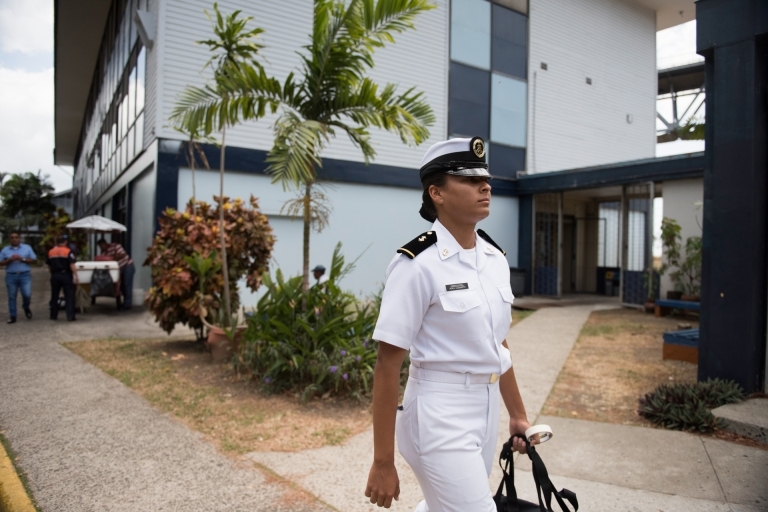 Avila is pursuing a degree in Nautical Sciences in Navigation. 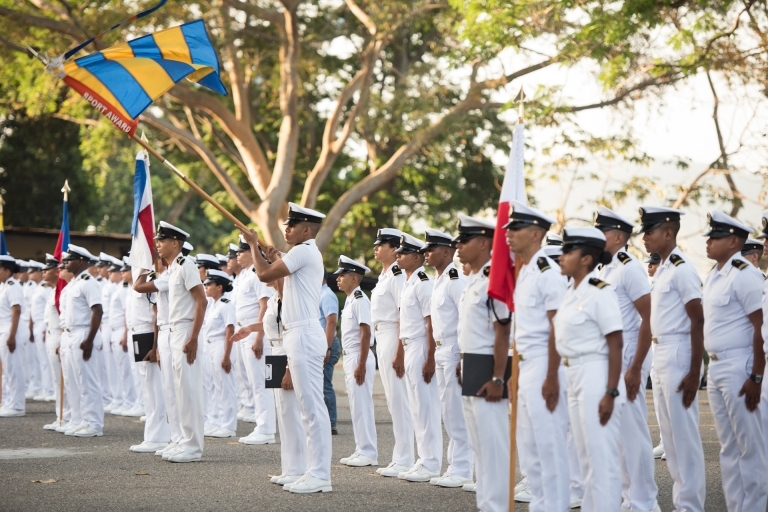 Avila's father, Luis, graduated from UMIP when it was originally called the Nautical School of Panama which was founded in 1958. 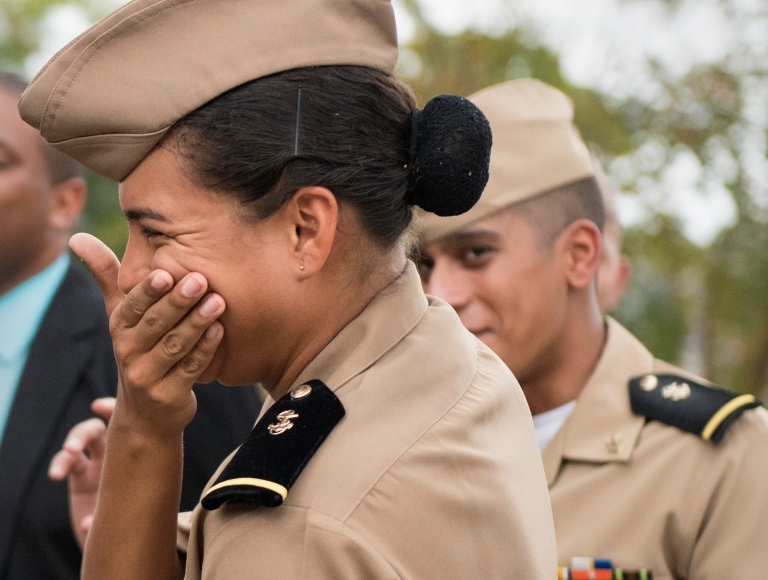 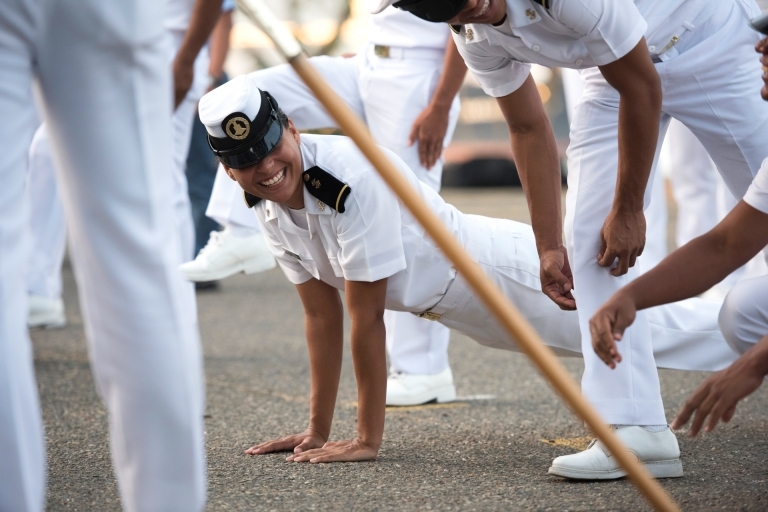 Working towards a degree in Nautical Sciences in Navigation, Avila is one of 36 women in the program with 217 other male cadets making it the largest male-seeking degree. 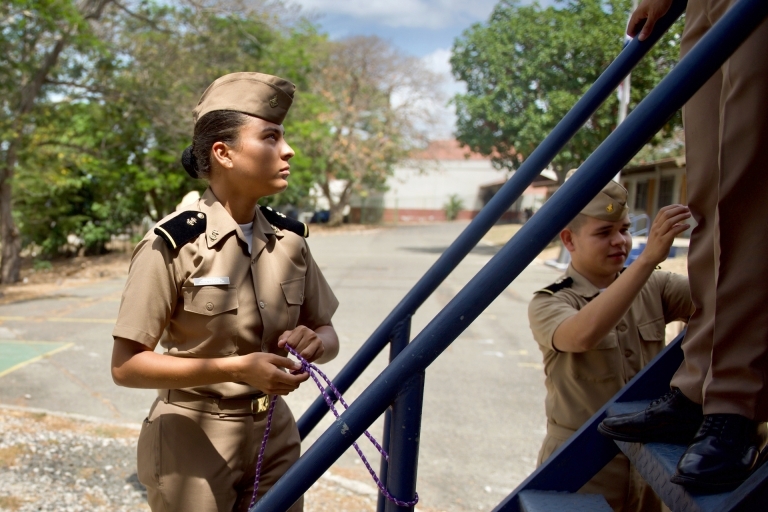 In her first year at UMIP, Avila has been named cadet of the year.